Great shot, Sandy! 🙂 They are very rare in our area due to being very susceptible to the West Nile virus… but we saw one a couple days ago! 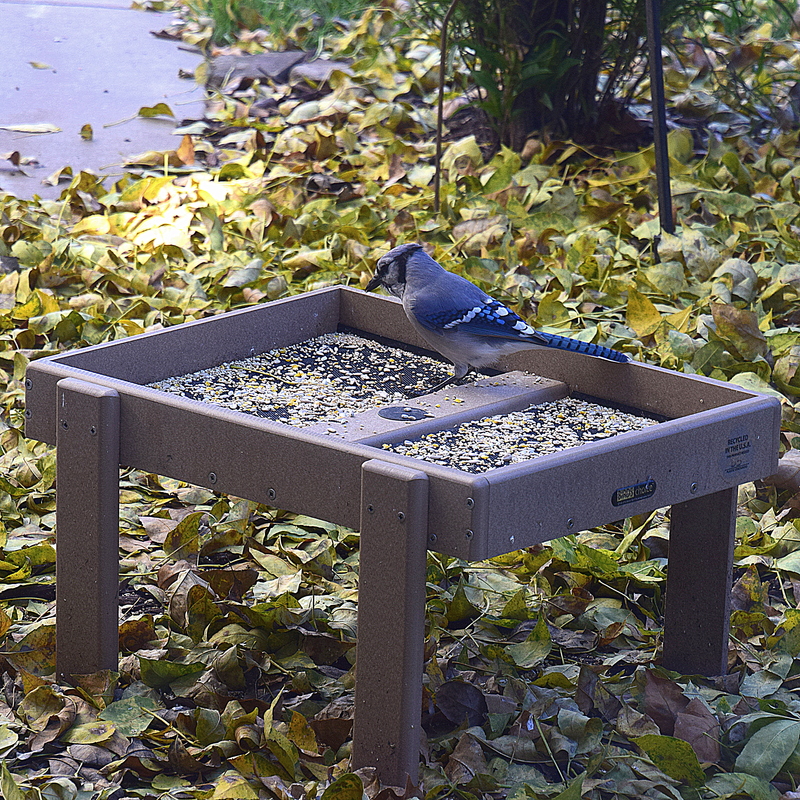 Love Jays…Glad you spotted one! I saw this lovely bird earlier this week! So beautiful! Thanks…right in my own backyard! I love the birds you have such as these, alien to me, but wonderful to see. And I am amazed by birds I see posted by bloggers from around the world. There is such great diversity! Yes, I love that too, so joyful. Sometimes you wonder what they are thinking about. So sweet! Maybe nothing at all…or maybe exactly which seed to select. Yes, fly anywhere at all for free! Absolutely stunning pic. Thanks for sharing it with us, I always find that we can learn so much from watching birds. I agree. Birds are fascinating.